Nestle Japan continues their environmentally friendly ways with the recycling of flavors. 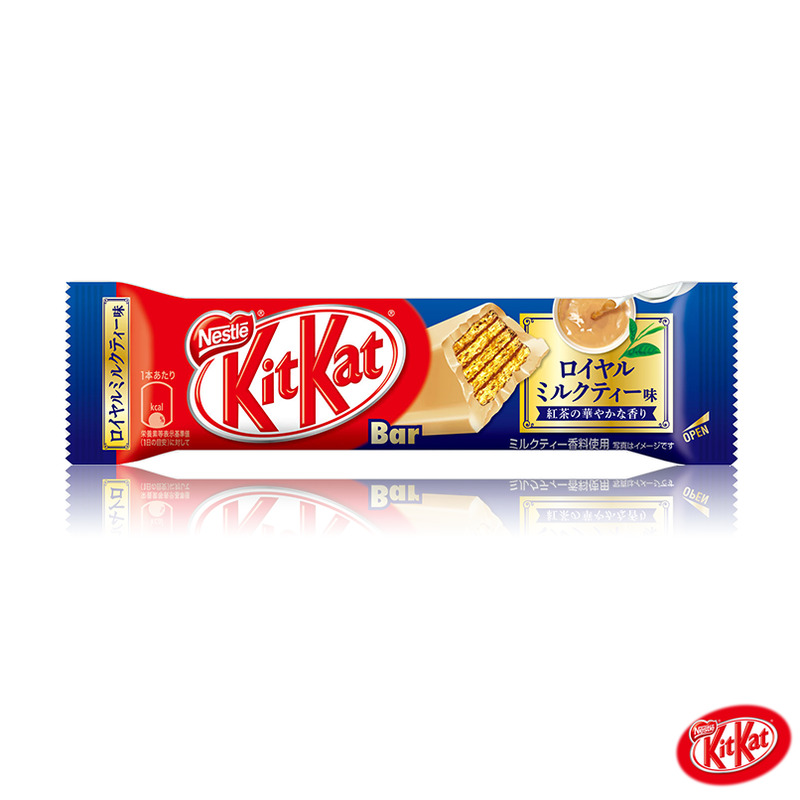 In my experience, there was never a royal milk tea big bar before, but there was a regular KitKat available in that flavor. And it was good. Though I haven't bought this particular reincarnation of that flavor, I'd wager that it's a very similar experience. That means that, if you're a tea fan, it's likely worth a shot. This is a limited edition that came out several days ago. You can get one from Candy Japan is you have no other options (and, no, they're not giving me free stuff to promote them or paying me - that's purely FYI).